If it’s replacement Small Engine Carburetors and Carburetor Parts for a 4-Cycle Small Engine you need, Jack’s has them! We can supply replacement Carburetors and Carburetor Parts for your Briggs and Stratton, Nikki, or Tecumseh Carburetor, as well as many other manufacturers. Old stale fuel left in a 4-cycle small engine, perhaps from sitting too long over the winter, can cause your 4-cycle engine to lose performance, or worse, cause it to stop working entirely. One of the ways to return a 4-cycle engine to peak performance is to clean the small engine carburetor. In some cases all that is needed is an adjustment, where carburetor cleaner is used to clean the exterior and the small passages, and a carburetor kit is used to replace old and worn out carburetor parts. In more extreme cases when old fuel has blocked the ports and passageways of the carburetor, a complete replacement may be necessary. 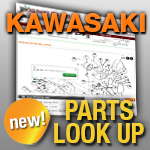 Use Jack’s DIY Section to help determine what level of Small Engine Carburetor repair may be needed for your 4-cycle small engine. Once you’ve done that, trust Jack’s to supply the replacement parts for your small engine carburetor adjustment, or if a complete replacement carburetor is needed, Jack’s has those as well!